Collabor88 is on and has some pretty things for us all! You can find the skin from the pictures there, it's by Glam Affair ^.^ It comes with moles and different lip layers as makeup as well as a bunch of brow options! -.HoD.- is in another round of The Rack this weekend. This awesome piercing set will be out at a special price for 24 hours on the 14th of December! The set comes with piercings for your face as well as mesh ears; you get it in three colours and if you wear your group tag you get 20% off! 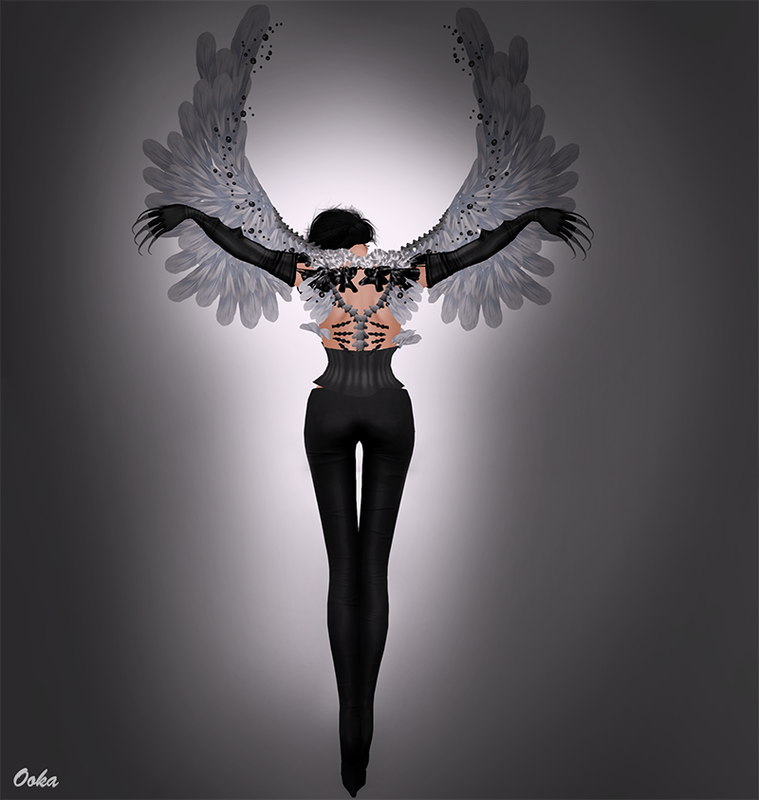 The corset and the wings are by MiaMai! The back of the wings has a spine attached and the details on the feathers are just stunning!